Governor David Ige gave his first State of the State address to a joint session of the Hawaii State Legislature today. 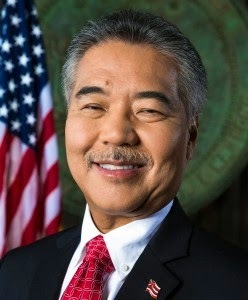 He supports, "low-cost government investment tools [that] can be used to create affordable homes for working families," like the interim loan of $5 million provided to enable the Kapolei Lofts, a public-private partnership with the State, the City and a private developer. He supports the Honolulu Rail Transit Project. In his words, "This governor wants rail to succeed and I’m committed to it." He recognized that the State owns a large portion of the lands near proposed stations. He said that, "Rail can be the driver to help us build future communities on Oahu—to sensibly direct growth, protect open space and agriculture, stimulate business, reinvigorate older neighborhoods, and build affordable homes." As part of his actions to support Rail, he will fill a position in the Office of Planning to help assess and evaluate parcels for affordable homes. This will likely build on the previous work Office of Planning engaged in that lead to the report entitled, "Leveraging State Agency Involvement in Transit-Oriented Development to Strengthen Hawaii’s Economy." He supports increased agricultural production in Hawaii, through the preservation of agricultural lands. In addition to land preservation, his strategy includes developing agricultural parks, combating invasive species, and reassessing "the areas that determine whether a local farmer can survive." The Governor's complete speech is posted on his Web site.